Most Indians would know the Mini Cooper brand of cars thanks to the Hollywood flick ‘The Italian Job’. Puny little cars getting the job done perfectly. Well.. that brand has unveiled a new car today. MINI today unveiled the Countryman in India at price of Rs 3,650,000. It will be brought in as a Completely Built Unit. The four-cylinder turbodiesel engine with common-rail injection and variable turbine geometry gives an output of 112 hp producing a maximum torque of 270 Nm at 1,750 – 2250 rpm and accelerates from 0-100 km/hr in just 11.3 seconds to a top speed of 185 km / hr according to the official press release. The new six-speed Steptronic transmission is manual however you can choose the optional shift paddles as well. On the inside, the Countryman gets a 6.5 inch infotainment system with Radio MINI Visual Boost. It can connect to your phone via Bluetooth.It features 10 speaker 640 watt Hi-Fi Harmon Kardon music system. It gets leather seats and also a steering wheel enclosed in leather. The standard safety equipment comprise 6 airbags, 3-point seat belts, Dynamic Stability Control including Dynamic Traction Control, Anti-lock Braking System, Brake Assist and Run-flat indicator. Presently, the MINI model range in India includes the MINI 3-door, the MINI 5-door, the MINI Convertible and the MINI Countryman. The only competition for the MINI is the Fiat Abarth 595. 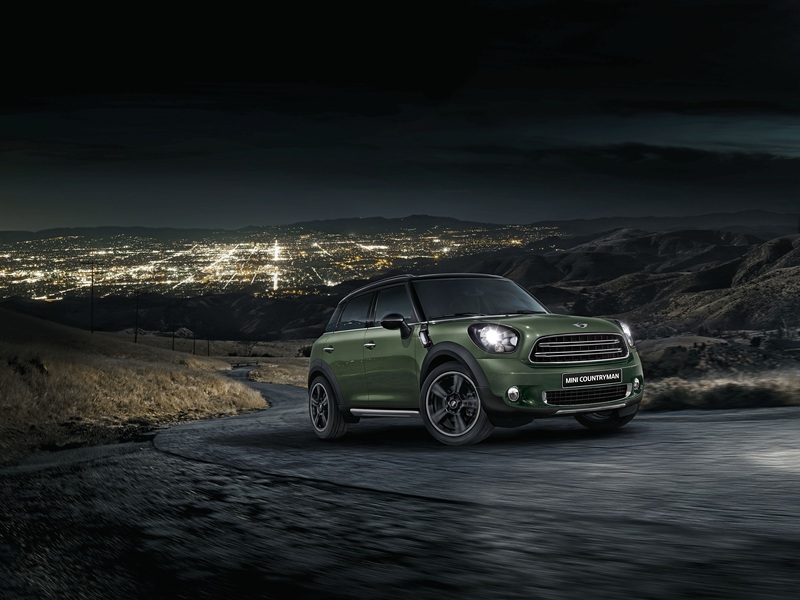 2017 Mini Countryman Has Got Better Than Ever ! Caught on videotape- 4wheelreviews spotted the Tata Kite test-runs.